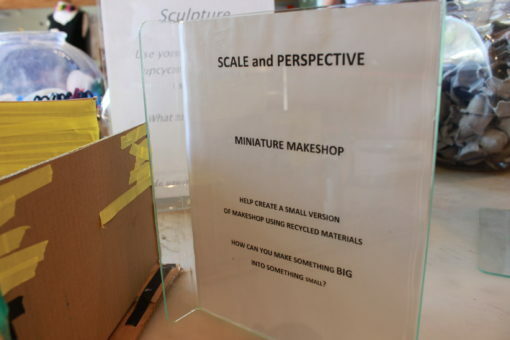 We recently explored scale and perspective as a theme in MAKESHOP. 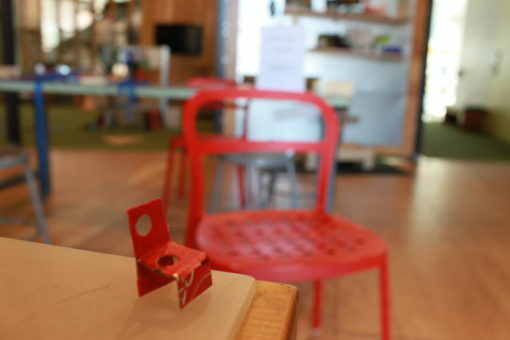 One of our activities was to create a tiny version of the MAKESHOP exhibit. I built a small diorama of the room and then let other educators and visitors add to the space. 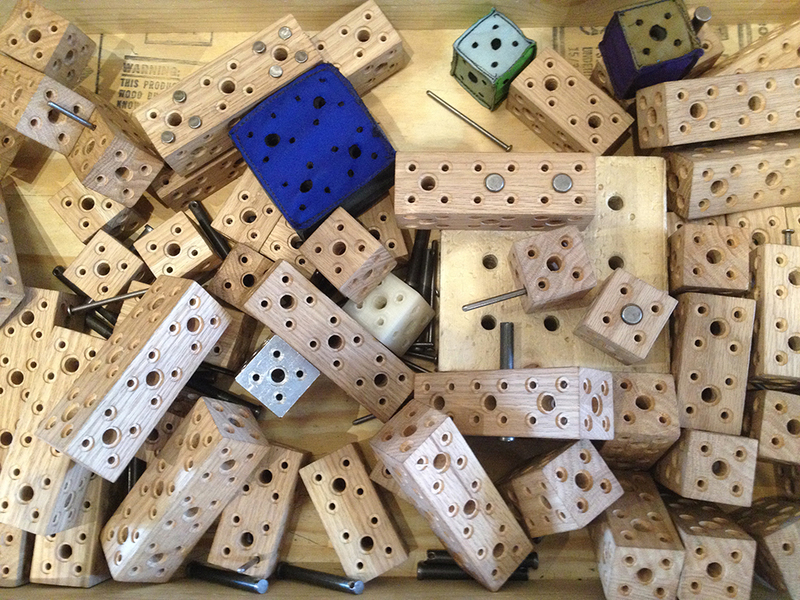 There are some very recognizable objects in MAKESHOP. 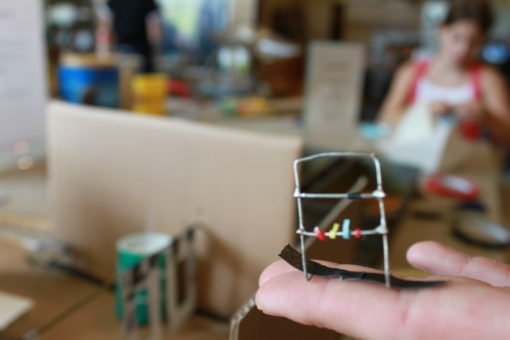 It was a real challenge building tiny, tiny versions of those objects out of random recycled materials. Little red chair with big red chair. 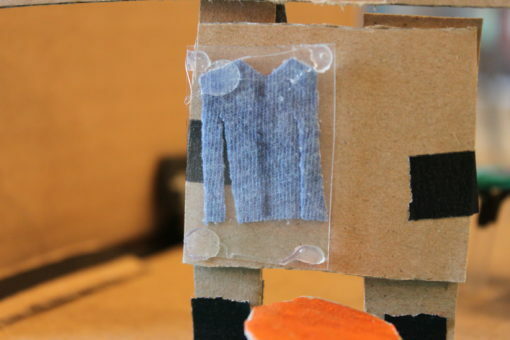 Miniature version of Mr. Roger’s Sweater. The real sweater is on display in the entrance to MAKESHOP. 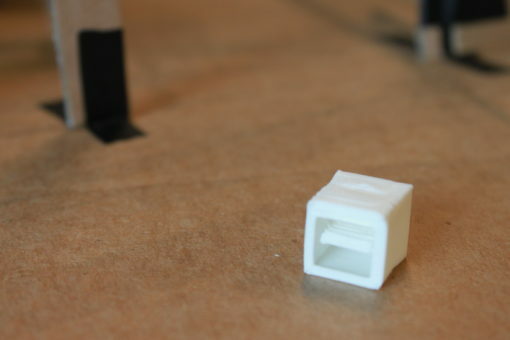 Plastic model of 3D printer created by one of our 3D printers. Extremely small tape rack. So small it fits in the palm of your hand. It was a lot of fun seeing visitors try and figure out what the model was and then realizing it was a small version of the room they were standing in. Immediately connections would start to be made between the large and small objects. Now we just need to make the rest of the Museum on a smaller scale.